Even The Sun Can’t Outshine Our Awnings! Motorized retractable awnings provide an awning solution for every need. It’s more than just sun control when choosing an awning. 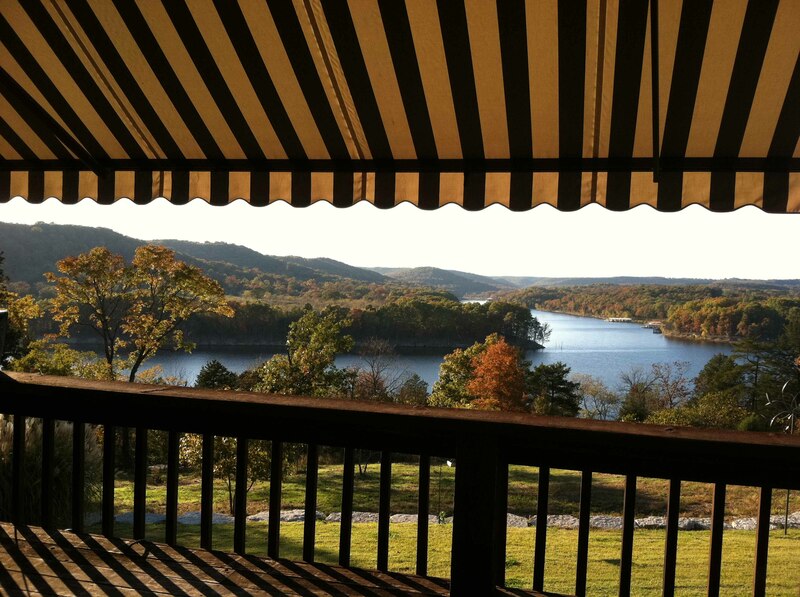 Shade any patio or balcony without sacrificing space or views with the right awning. 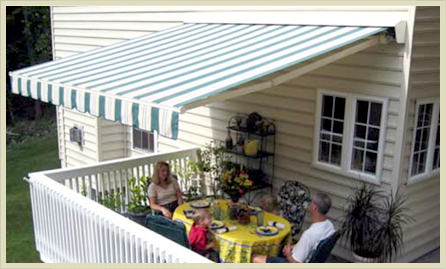 Our awnings are completely retractable and can project out from 5′ to 16′. 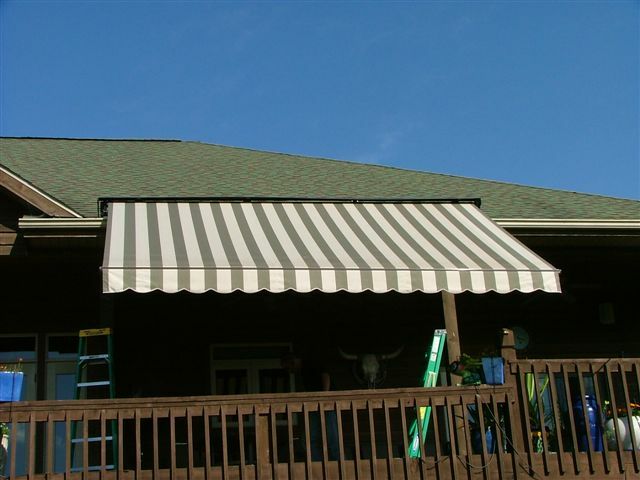 Our awnings are durable for year round use in residential or commercial applications. Sun pitch adjustments allow you to tilt one end to block the sun or rain. Reduce energy bills by tilting the awning 3′ or lower, enough to block the sun from entering your home. 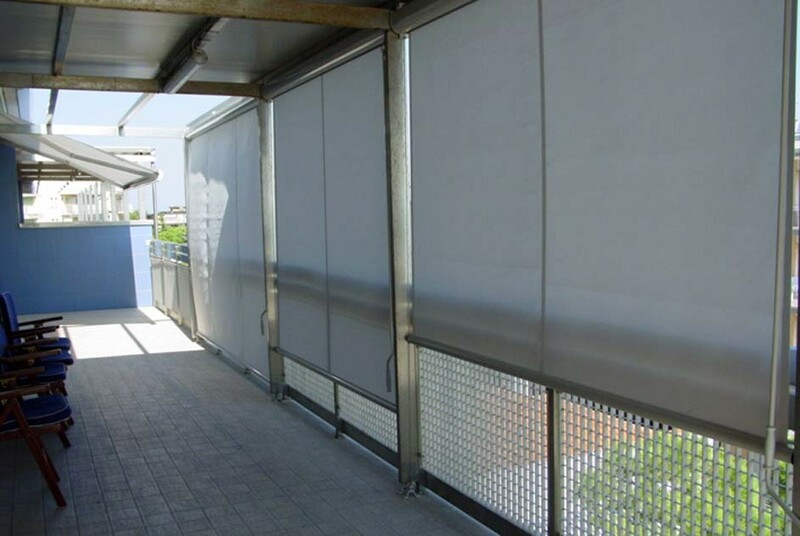 Optional Sun-Shade drop panel made of mesh or fabric provides a walled barrier of shade. No need to bring your awning down for winter. Optional Hood protects the fabric for year round use, front valance is removable. 10 year warranty on the awning unit, 5 year warranty on the fabric. Many options are available to provide shade for any application or area: Wall Mount, Roof Mount, Soffit Mount, Crossover, Motor with manual override, Sun & wind sensors available, Hand held remote or hard wired wall switch, White, Brown or, Beige frames and 300 fabric options. Now You See The Sun, Now You Don’t! 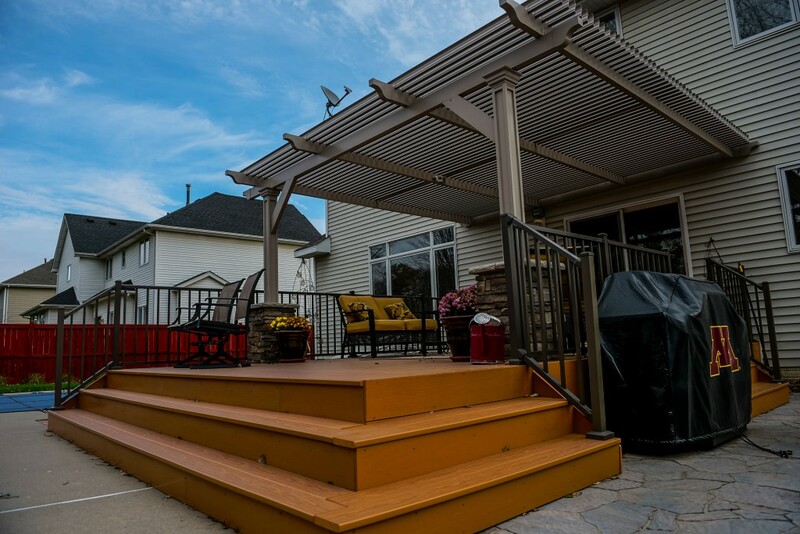 Our louvered, motorized roof system opens and closes with the ease of a remote. You can enjoy the beautiful evening under the stars with the louvers wide open or close the louvers to sit in the rain or enjoy 100% sun block during the heat of the day. They are manufactured of powder coated extruded aluminum and are engineered to handle 180 mph wind-load and 80 pounds per sq foot snow-load. These louvered roof systems can be designed to fit any shape you need and designed to attach to any type structure or be free-standing. Best of all, they are made in the USA! Drop shades provide a clean compact way to block the sun and save energy. These solar shade systems mount to the window casing and use a cable or tracking system to raise and lower blinds. 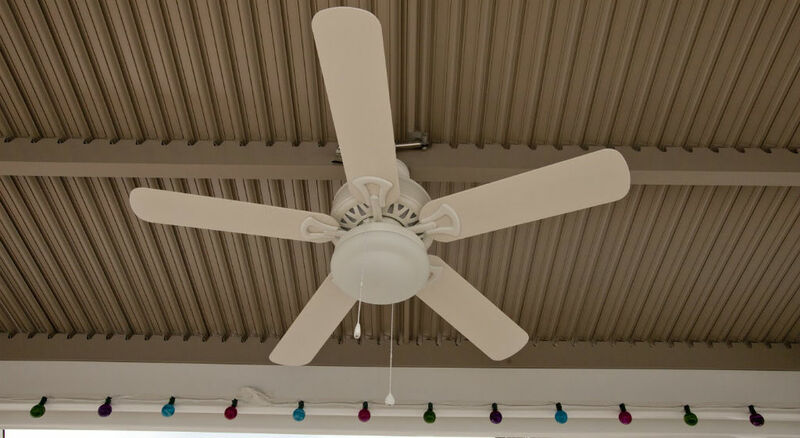 These systems can be mounted on the exterior or interior. As with our other products you can choose from over 200 fabrics and 3 frame colors with manual operation, hard-wired wall switch or hand held remote operation. 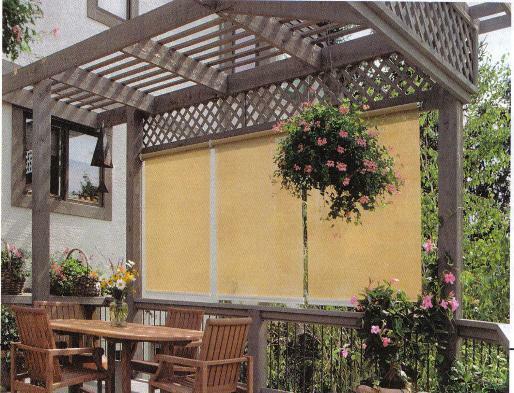 Retractable Shade Is An Attractive & Flexible Way To Cover Your Deck. 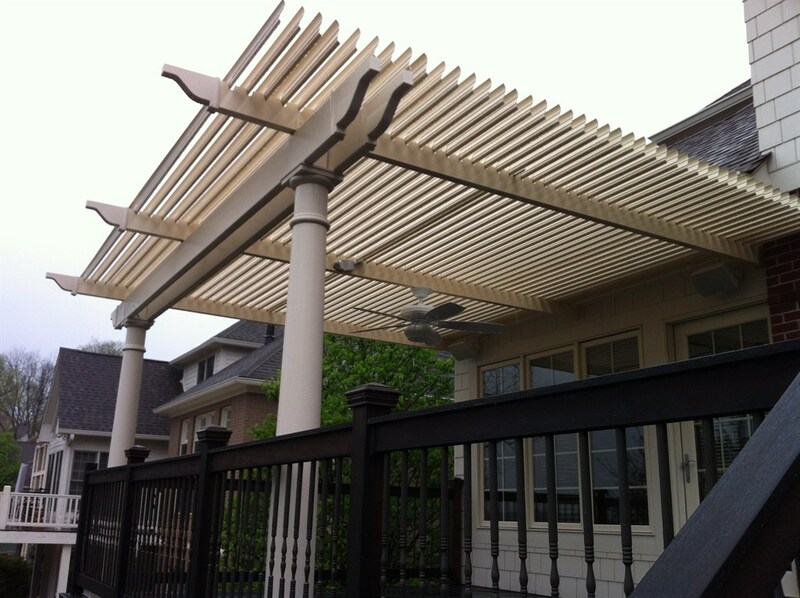 Retractable deck & patio canopies are perfect for large or small areas. They’ll turn any outdoor area into a “cool retreat”. Their flexible, modular design adapts to any new or existing structure for a custom look. These retractable canopies utilize a unique overhead track system. The fabric canopies glide effortlessly along rugged aluminum or vinyl tracks…so smoothly they can be extended or retracted in seconds, with no more effort than it takes to close the window drapes. These simple overhead canopy and tracking systems attach to virtually any surface with simple mounting brackets. Be creative and design your own structure, or use under an existing structure. Freestanding structures make a great “shade oasis” on your patio. 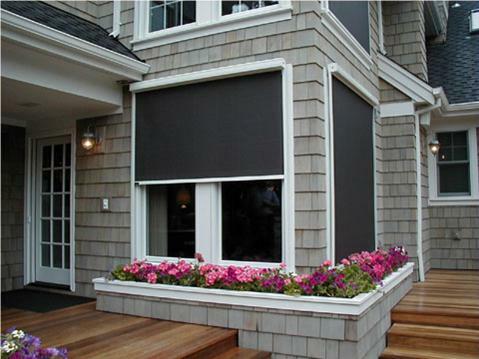 Backyard Blinds feature five standard sizes or custom-cut to fit your existing structure. Color coordinated fabrics make our blinds a nice compliment to your shade system or use them independently. Simply pull them down when needed, or leave them rolled up when you want full view of your surroundings. Also creates a fashionable privacy barrier!